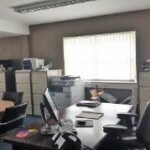 DESCRIPTION: The property comprises a lock up retail/studio/office ideally suited for a variety of uses. 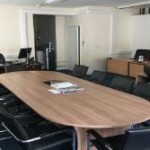 The property has most recently been used as an office and is fitted out accordingly. There is a single private car parking space within the rear courtyard. The accommodation is currently partitioned to provide a main office area with a partitioned store/kitchen to the rear of the premises. SERVICES: Mains gas, water and electricity. Heating is by way of electric. In addition there is CAT 5 trunking in part. No tests have been carried out in relation to services, nor are we able to comment on their condition. TENURE: A new flexible lease is offered. The ingoing tenant will be required to make a contribution towards the Landlord’s reasonable legal costs, pay a deposit and provide a satisfactory bank reference. SERVICE CHARGE: There is a service charge covering the Poundbury Management Charge, external repair, external decoration (excluding shop front) and building insurance. This is calculated on the basis of approx. 10% of the rent payable. 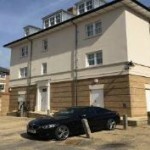 RENT: The passing rent is £12,500 per annum. FINANCE ACT 1989: VAT is chargeable on the rent and service charge.